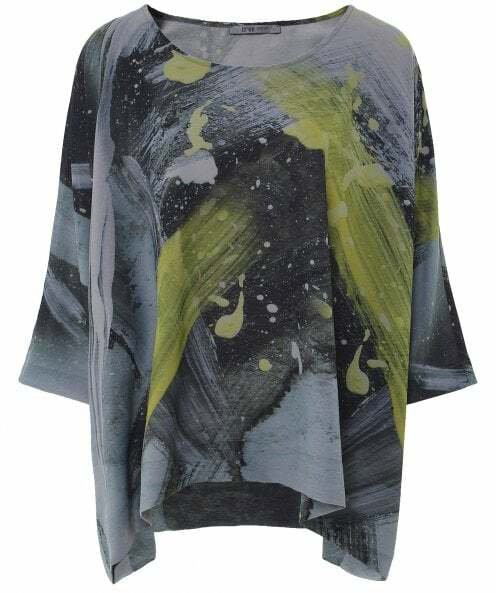 Refresh your casual wardrobe with the Crea Concept paint splash oversized top. Crafted from a semi-sheer polyester fabric, this comfortable tee is perfect for lightweight layering and is sure to turn heads with its vibrant abstract print. Batwing sleeves, a curved front hem and a relaxed round neckline ensure that this Crea Concept top is comfortable and easy to wear.